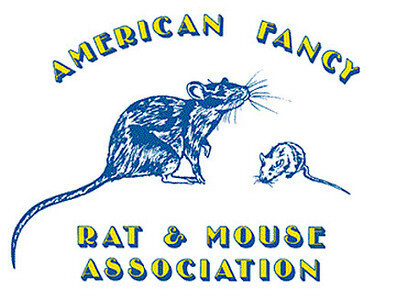 The American Fancy Rat and Mouse Association (AFRMA) is the largest rat and mouse club in the United States. 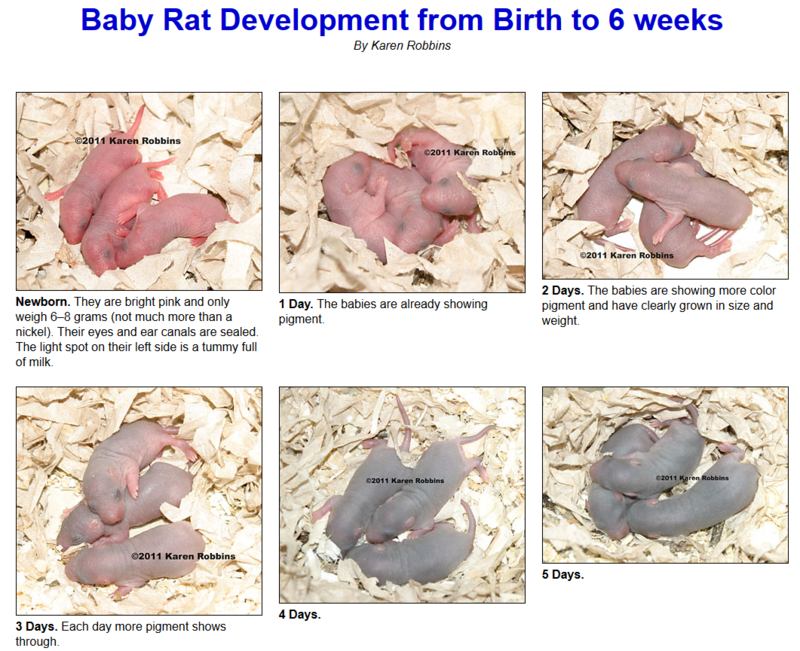 There is much information on safe breeding and exhibiting rats, and also much educational material on the Information Pages. 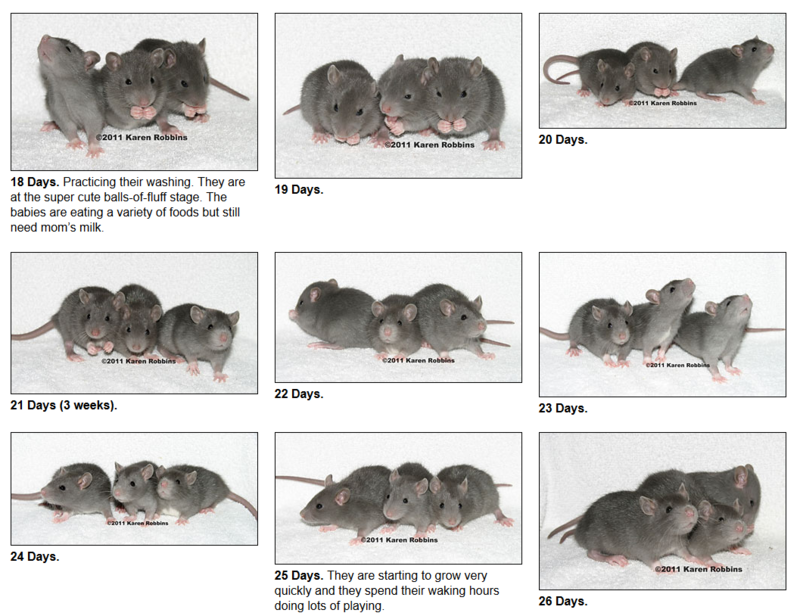 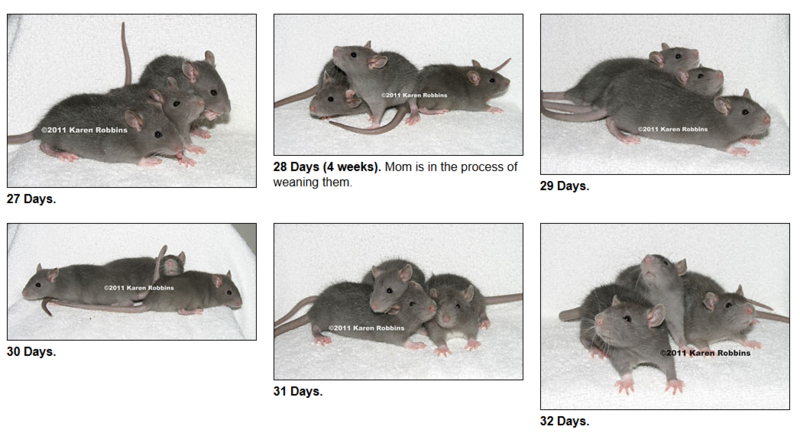 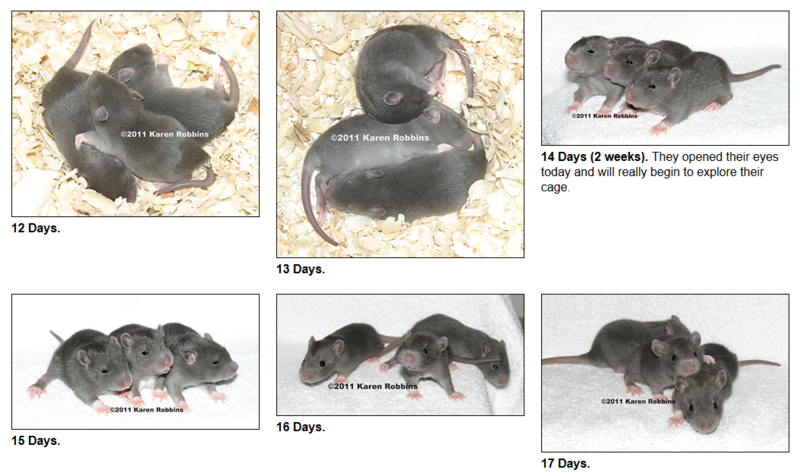 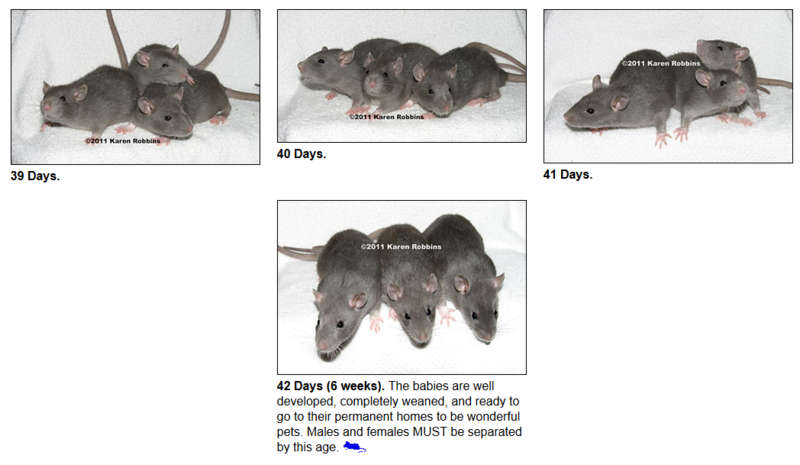 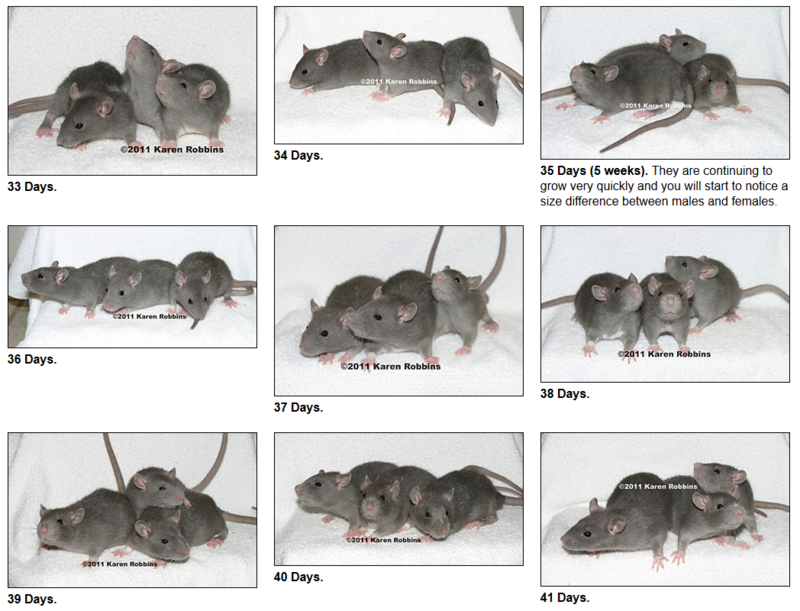 Below is one page, "Baby Rat Development". 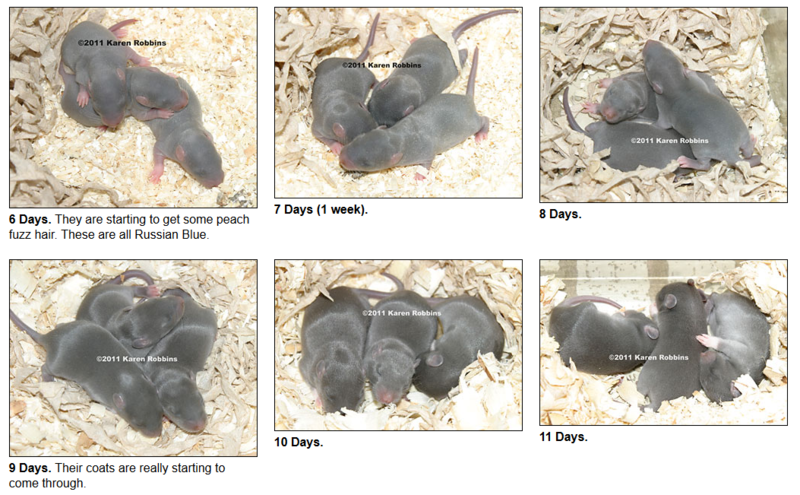 Also visit the AFRMA's extensive Links Page.